Shaftesbury’s hospital was opened in 1874 and dedicated to the memory of Richard, second Marquis of Westminster, by his daughter, Lady Theodora. 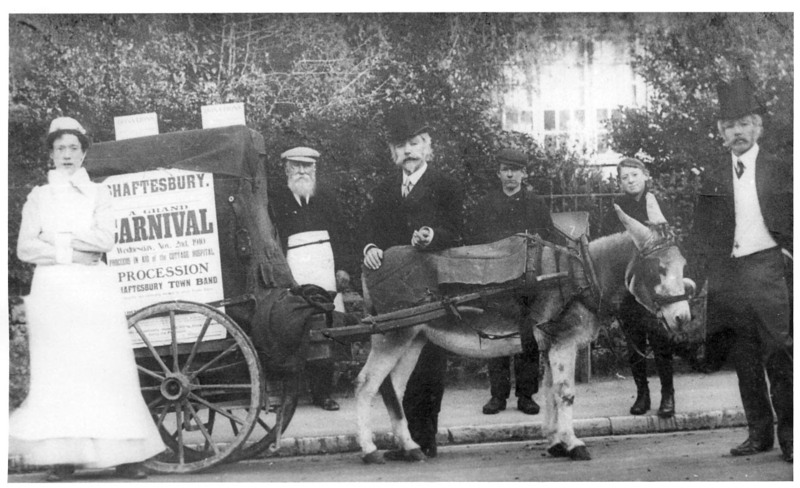 In 1910, with the hospital needing financial support if it was to continue to serve the town and local area, the Shaftesbury Carnival Committee dedicated the money it raised to the hospital and continued to do so for many years. In 1912 in the hospital’s annual report, the Committee stated that during the year there had been 123 medical and surgical cases including several accidents. Receipts for the year had been £627, nearly half of which came from donations and church collections. After expenses, a balance of just under £25 remained. The carnival donated £130 to the hospital. 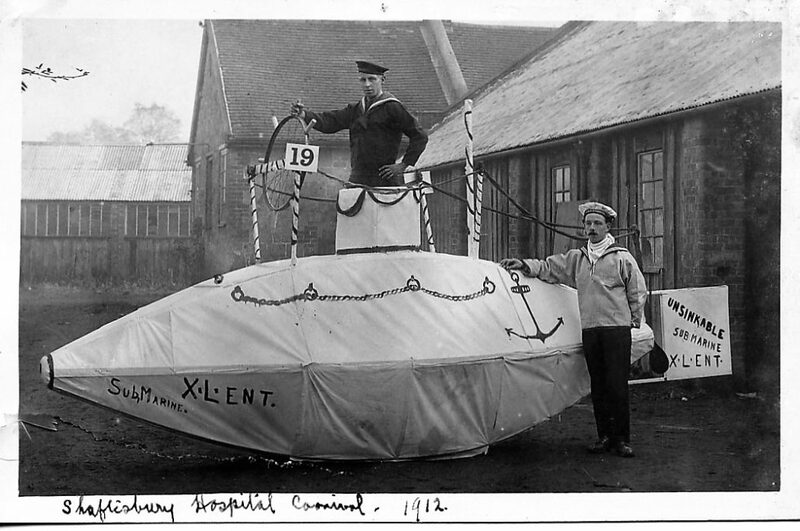 In August 1914 it was proposed that X-Ray apparatus should be installed, and money was deposited by the committee. However the installation was deferred till April 1919 because of the war, and six beds were added to the existing six to provide accommodation for sick or wounded soldiers. Nurses of the Voluntary Aid Detachment joined the staff. 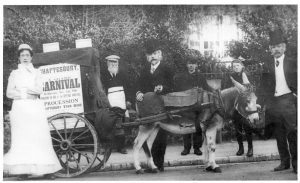 At the annual general meeting of the Carnival Committee in September it was decided to cancel the carnival for the duration of the war and find other ways to support the hospital, through street collections and church collections, such as at harvest festival services. The annual general meeting of the hospital committee was held in July. During the past year there had been 131 patients, 82 being medical, 39 surgical and 10 accidents. The hospital had difficulty in maintaining its income due to the war, but welcomed the gifts of fruit and vegetables it had received. The Girls’ High School had collected a good quantity of donations for its ‘Pound Day’. The Carnival Committee donated £50 from its reserves and £25 from the carnival fete in lieu of carnival receipts. The hospital’s deficit was over £63, but this was due to increased expenditure rather than decreased income. An unusual fund-raising event took place in June. A goat, until recently the mascot of the 7th London Regiment stationed at Sutton Mandeville camp, was auctioned at Shaftesbury Market to raise money for the hospital, and realised £22. The annual general meeting of subscribers was held in January, and sorrow was expressed for the loss of four significant members in the past year. Improvements had been made to the hospital sanitary arrangements, and a bathroom installed for staff. House-to-house collections and harvest festival receipts were supporting the hospital well, and it was in a financially healthy position. New sponsors came forward, such as the Farmer’s Club in 1919, who donated £721 (equivalent to over £57,000 in 2017) that year and the list of subscribers and church collections ensured that the hospital managed financially. 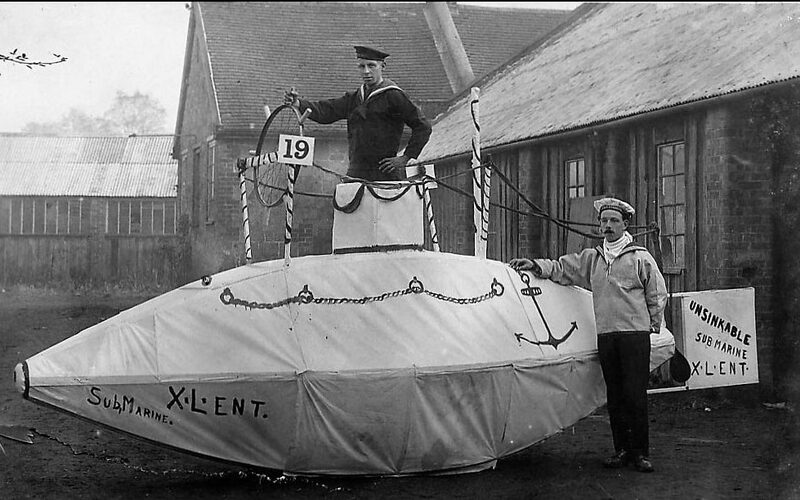 The carnival was revived and moved from November to the end of September, losing its links with Guy Fawkes Day. In October the Western Gazette reported on an excellent carnival, with a day of revelry for hospital funds and splendid tableaux in a torchlit procession. Hundreds of visitors came to the town to enjoy the spectacle. Cars and other vehicles were held up by ‘highwaymen’ carrying blunderbusses. At the entrance of the Picture Palace cinema on the High Street there was a confetti and fruit stall, and Hine and Parsons’ yard was transformed into an orange grove. In the procession, the most impressive float was ‘The Queen of Sheba’ with gorgeous costumes. The Donhead Boy Scouts presented a historical scene, ‘King Alfred and the Cakes’, and Motcombe’s jazz band brought up the rear, rending “the air with weird noises”! There was a football match in the afternoon between Shaftesbury and Bournemouth Gasworks. The evening procession was led by the police, followed by the hospital float, the Comrades’ Band, “seven or eight characters on horseback” and the ex-Servicemen’s Club. The Boy Scouts and Women’s Institute members were busy collecting donations. 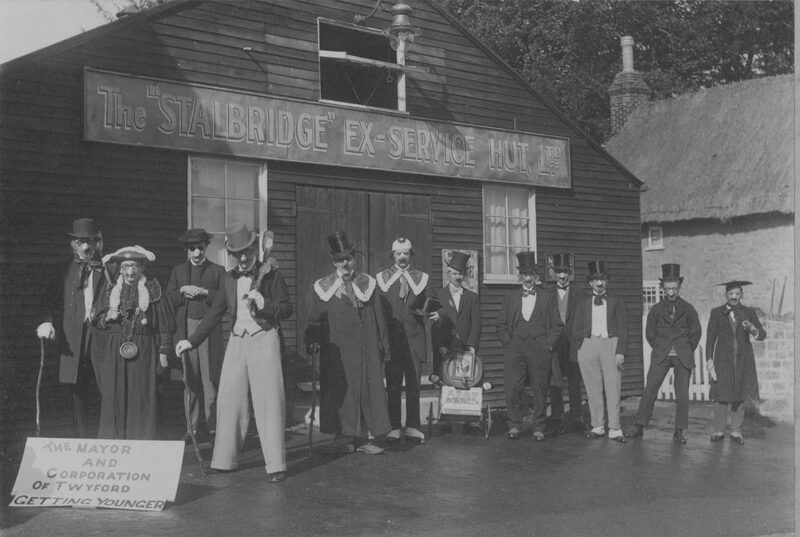 In the evening there were two concerts and a dance in the Stalbridge Hut. One of the biggest money raisers was the Hospital ballot, or raffle. Donations in total for 1925 amounted to £500.